Thirty-eight juniors and seniors at Gustavus Adolphus College will be inducted into Phi Beta Kappa, the nation’s oldest and most prestigious academic honor society, on Thursday, May 2 in the Three Crowns Room. The ceremony is open to invited guests only. 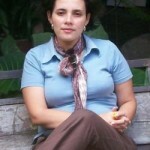 The Gustavus Adolphus College department of Latin American, Latino, and Caribbean Studies will host Sohely Rua Castañeda, Secretary of Women and Labor for Colombia's National Union School, at 7 p.m. Wednesday, May 1 in room 128 of Confer Hall. 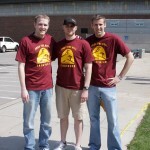 Gustavus Adolphus College and the Epsilon Pi Alpha Fraternity will host the sixth annual Take the Hill Triathlon on Saturday, May 4. The event is a benefit for Insulindependence, a nonprofit organization that aims to help type-1 diabetics live active and healthy lifestyles. 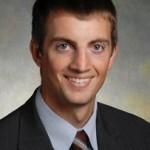 The organization was founded by Gustavus and Epsilon Pi Alpha alumnus Peter Nerothin ’02. This past January, videographer John Noltner followed the January Interim Experience class "Changing the World: Justice, Action, and the Meaning of Life," which is taught by Dr. Chris Johnson. The video chronicles the discussion and activities that make the class so meaningful to those who experience it. 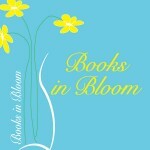 Gustavus Library Associates (GLA) will host its third annual Books in Bloom event at the Folke Bernadotte Memorial Library on May 3-5. The event is free and open to the public. 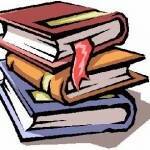 Gustavus Adolphus College will hold its annual Author Tea at 3:30 p.m. Wednesday, April 24 in the Courtyard Café, located on the lower level of the C. Charles Jackson Campus Center. 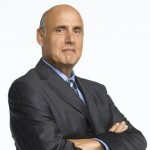 Actor Jeffrey Tambor, best known for his roles on the television comedies The Larry Sanders Show and Arrested Development, will make a public speaking appearance at Gustavus Adolphus College on Friday, April 26. Recent graduates Pete Schwingler '05, Hailey Harren '07, Krista Hiner '07, and Derek Hilding '10 say that their undergraduate experience at Gustavus Adolphus College prepared them to excel in law school and in the professional world. 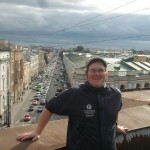 Gustavus Adolphus College senior Joey Taylor ’13 has been awarded a Fulbright English Teaching Assistantship Grant to Russia for 2013. The Fulbright Program is the flagship international educational exchange program sponsored by the U.S. government and is designed to increase mutual understanding between the people of the United States and the people of other countries. For the fourth straight year, Gustavus Adolphus College has been recognized for its commitment to sustainability by The Princeton Review. 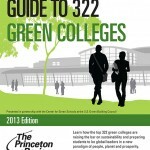 The nationally-known education services company selected Gustavus for inclusion in its free downloadable book, "The Princeton Review's Guide to 322 Green Colleges: 2013 Edition."